A shooter is on the loose in a small Midwestern suburb, chased by the FBI and local police. A credible ISIS plot brews to neutralize America on the world stage. While the forces of darkness rally a campaign to influence the hearts and minds of millions of Americans, the President of the United States works to save his country from imminent destruction. Concurrently, a mysterious figure arises, The Bookseller, to speak truth into the lives of Paul and Samantha, two college students at the crossroads of an epic battle between light and darkness. The curtain which separates the visible from the invisible is suddenly opened, revealing the conflict, tactics, and methods of the opposing forces-and how they continually impact our lives. Be cautioned, however, that although this is a work of fiction, it often crosses the line to truth-not in personalities or the events described, but how we might view these events if we could see everything that happened, both the visible and invisible, simultaneously. 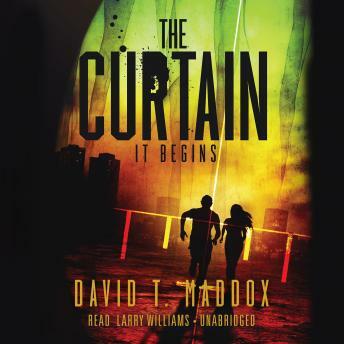 For those brave enough to search for the truth, The Curtain is an adventure behind the veil, deep into the spiritual realm.